Whether you are a manager, executive, or small business owner, you want to have a cohesive team. 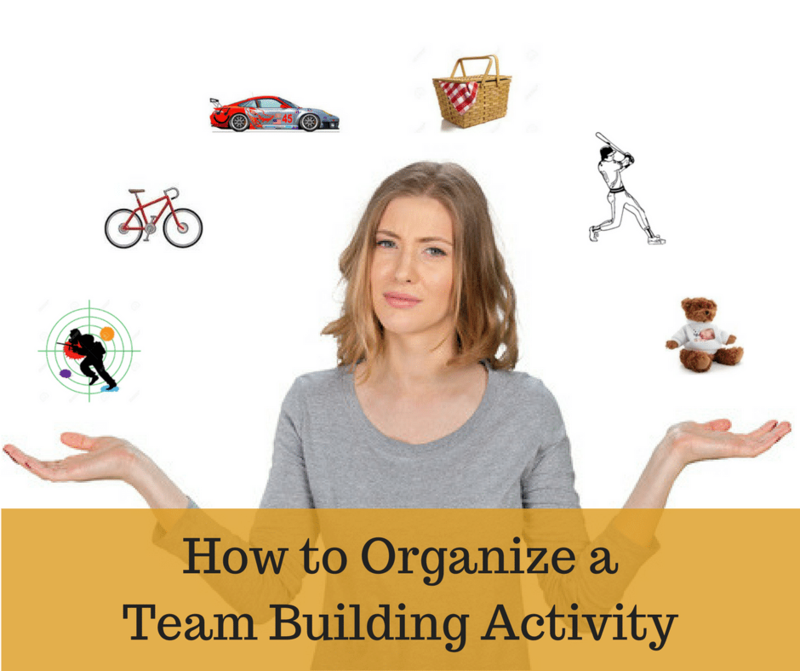 But what exactly is team building, and how do you organize a team building activity. The answers two those two questions are not as simple as you might think, though. Team building means different things in different circumstances. However, when most people are looking for how to organize a team building activity, it is usually because of a specific meeting or event that is pending. This article outlines how to insert a good team building activity into a meeting or as a reward for your employees. Our goal is to make this article interactive. So, we have inserted questions along the way to navigate you to answers to your specific situation. If you are clear on the outcome that you are looking for, the selection of activities is much easier. In some situations, you already have a meeting or retreat organized, and you might be looking for a way to break up the routine or add some fun. For instance, if you have an annual meeting scheduled, and you want to add an activity to the agenda to build camaraderie or teamwork. In other cases, your team might be experiencing challenges, and you want to eliminate these challenges. For instance, a new manager might have inherited a somewhat dysfunctional team. Or, your group might be experiencing communication challenges in the workplace or personality conflicts. Are you looking to reward an established team or fix a team challenge? There are basically two different genres of team building. The first is traditional behavior-change types of team building. My team has a problem. We want to fix it. The second is more of a reward style of team building. These include shared experience activities. Many of these aren’t really designed to teach something, but rather to entertain the group or build camaraderie. The answer to this first question is vital, because the shared-experience style of event basically intensifies the atmosphere that is already present. So, if you have a great team already, the shared experience programs are a great way to reward the team and let them have fun. If your team is having challenges, though, a shared experience event can sometimes make things worse. Click the link below based on the outcome that you desire. We have new initiatives that we are rolling out. We want to reward our team. We want to add a fun activity to a meeting. A team culture already exists. Team building activities are a part of our history. Click One of the Links Above to Move on to Question #2.